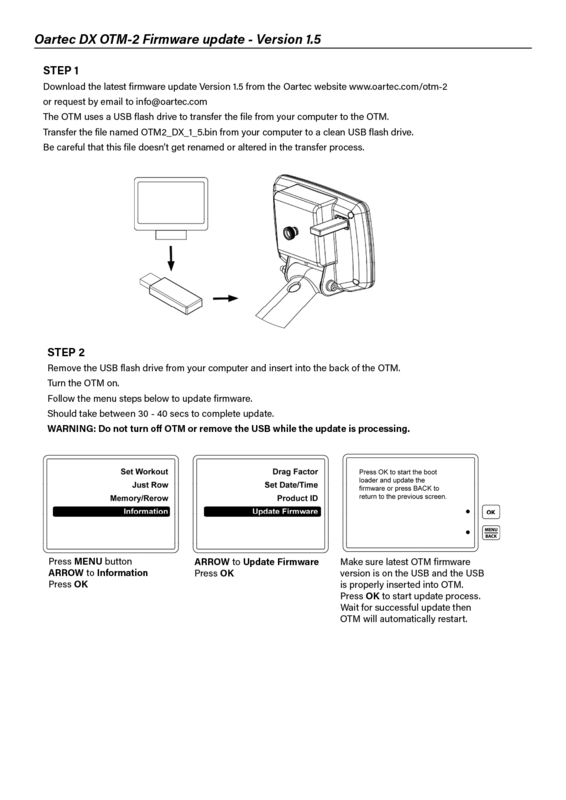 To download latest firmware update file for the OTM 2 please click here. The update file is named OTM2_DX_1_5.bin and is contained in a zip file. Double click the zip file to access the .bin file version. Copy the OTM2_DX_1_5.bin to a USB stick. Make sure the file name is not renamed or altered in this process. See more detailed instructions below. Version DX 1.5 – adds automatic start up into Just Row mode, variable intervals, manual power down and watts and calories calibration.